With all the features that made The Ultimate Construction Site Book a bestseller, this oversized volume offers a fact- filled and action-packed look at the amazing universe of outer space. 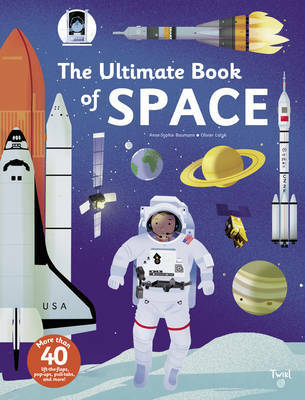 Bursting with 40 flaps, pop-ups, pull tabs, and movable parts, The Ultimate Book of Space provides a richly illustrated, hands-on exploration of space travel, the Earth's place in our galaxy, the solar system, and so much more! Sure to encourage curious young readers to venture deeper into space, this is a must-have book for any budding scientist's library.